Visit Walker Nature Center to see the winning bird photographs from the 2016 Audubon Photography Awards and learn more about your local birdlife. Mon., Wed., Thur. and Fri. 9 a.m. – 5 p.m. (closed Tues. Sat: 10 a.m. – 1 p.m.
Sun. 1 p.m. – 4 p.m.
Reservations required. CallWalker Nature Center at 703-476-9689. $5 suggested donation. Sunday, January 29, 1 p.m. – 3 p.m. Open House. Free, all ages welcome. About the exhibition: Selected from over 7,000 entries—submitted from all 50 states, DC, and Canada—the winning photos were published in the May-June 2016 issue of Audubon magazine. A panel of five judges had the daunting task of sifting through the stunning images and grading them based on technical quality, originality, and artistic merit. 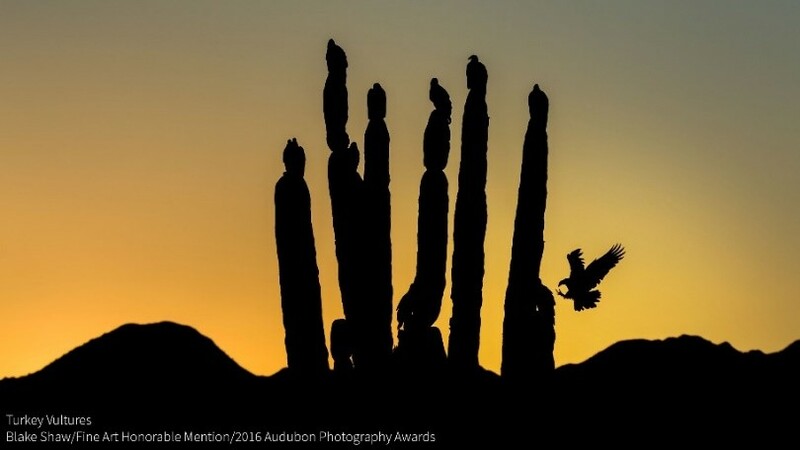 Read more about the 2016 Audubon Photography Awards here. On a somber note, half of the species in the winning and honored photos are birds identified as threatened or endangered by climate change in Audubon’s Birds and Climate Change Report (climate.audubon.org), which shows that 314 bird species in North America face an uncertain future due to shifting climatic suitability. The situation is indeed dire but there are reasons for hope. For high-resolution image files and more information on the Audubon Photography Awards please contact Nicolas Gonzalez, ngonzalez@audubon.org, 212-979-3068. 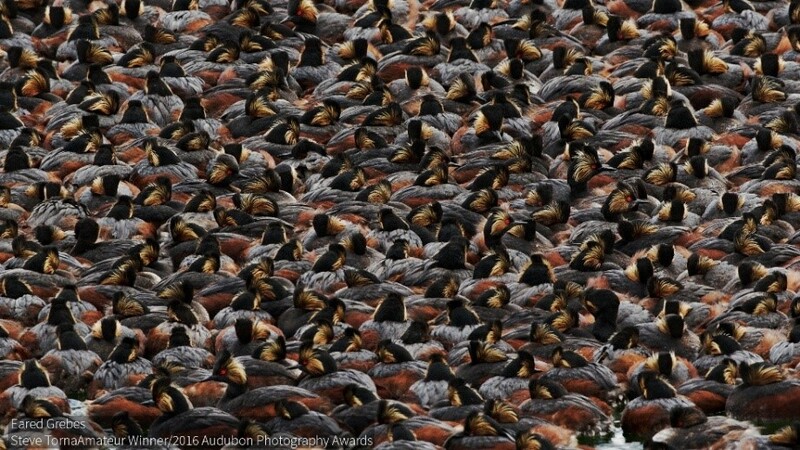 The judges for the Audubon Photography Awards put together their Top 100 Birds Photos from the 7,000 images submitted. Get lost among some of the world’s greatest bird photography. When one receives 7,000 photos of birds, odds are good that some interesting examples of bird behavior will be captured. From songbirds wreaking havoc on much larger raptors, to couples dancing in the throes of courtship, the spectrum of performances is near infinite. We're lucky that our contestants were able to get them on camera. Feeling inspired to pick up your camera? Here are tips and how-to’s from pros on how to get started (or up your game) with nature photography and capture truly stunning bird shots. Remember though: While photography is generally a fun and rewarding way to appreciate birds and other wildlife, there are rules that must be followed. Overly ambitious birders can push the limits of what’s considered safe for their feathered subjects. Lesson one: The well-being of the birds comes first. Learn about bird photography ethics. Okay, now that you’ve been inspired by the best and educated on how to operate safely, find out what gear is required to make your bird photo shoot a complete success. To stay updated on all things birds, visit www.audubon.org/news and follow @audubonsociety on Twitter. Questions, suggestions, comments? 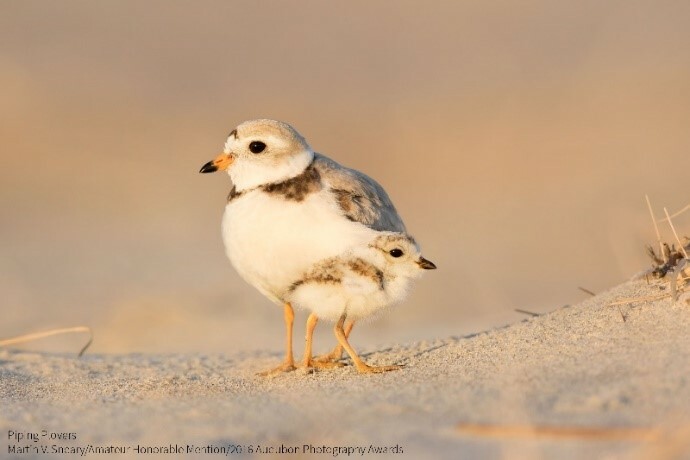 Email media@audubon.org or call 212-979-3000.